What does it mean to be smart, not strong? People in recovery are faced with a lot of paradox’s once they enter a recovery lifestyle. Since treatment is designed to allow someone to learn new ways of thinking without a drink or drug it is often difficult to practice new ways of thinking without a recovery attitude. With the mind cleared of alcohol and drugs, a person can think clearer and make rational decisions once they have received treatment and are now participating in a personal recovery program. A person will need to have a positive attitude about being clean from drugs or sober from alcohol. A positive attitude can make all the difference in the world for someone in personal recovery. 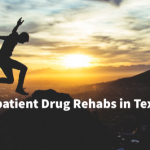 If you are not in personal recovery and still using alcohol and drugs, it is a good idea to call a medical detox facility and discuss detox and residential treatment options. Our minds need to be clear from addictive substances before a recovery-based lifestyle can be fully practiced. So, the idea of being smart about our personal recovery and not surrounding ourselves with negative influences after treatment is very important for someone new in recovery. Here are some thoughts that you may want to avoid in early recovery “I can be around people that are doing drugs or drinking alcohol after I get out of treatment. I am positive that now that I went to treatment, I don’t want to use drugs or drink alcohol because now I can make up my mind not to use or drink, I am strong now”. Another thought to watch for is “I have been doing so great in recovery, and I think I can now test my sobriety to see whether I can be around my old friends who are still using drugs or drinking alcohol. It’s just a matter of using my willpower now. Be Careful of this thought in recovery “I now can have at least one drink of alcohol or smoke one joint of Marijuana. I never drink alcohol anyway, and I was only addicted to methamphetamines, or I never had a problem with alcohol so I can drink some alcohol now. The above types of thinking can easily return to someone new in recovery. The idea that now that you have successfully completed treatment and are now in a personal recovery makes you protected from the temptations, relapse triggers, and people that use alcohol and drugs is a common mistake that new people in recovery can make. It’s not about how strong you are in recovery; it’s about being smart and not placing yourself in situations that tempt you to want to use alcohol or drugs. Treatment and recovery are both amazing tools that help you maintain your personal recovery, but being smart and talking with your support groups, 12-step sponsors, counselors in your intensive outpatient program or other people in your sober living homes can all be helpful in personal recovery. Make use of these support systems and talk about your thoughts. Surround yourself with positive people in your recovery. Remember staying abstinent in recovery has little to do with how strong you think you may be in recovery. People stay in an abstinent mindset by being smart. They know that the key to staying sober from alcohol and drugs is to stay away from situations, people and places that tempt them to want to use alcohol and drugs. Relapse prevention is usually taught in treatment at residential alcohol or drug treatment program. Learning the skills to avoid a relapse is important for people in recovery. 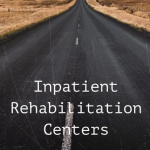 In recovery, you will need to practice your relapse prevention skills. Here is something to consider in your daily life of recovery. If you are in an environment where alcohol and drugs could appear or with old friends who drink and use drugs, then you greatly enhance the risk of using alcohol or drugs. Don’t place yourself in this situation and if you get into a situation where alcohol and drugs are being consumed then get out of the situation as fast as you can and call someone in your support network. Let others know what you just experienced. Avoid the possible relapse back into active drinking or using drugs. Let’s say you find yourself back to drinking alcohol or using drugs. Instead of continuing to drink alcohol or use drugs then consider going back to treatment and entering our Summer Sky Relapse Track™. The relapse track was designed for people that returned to drinking or using drugs. It’s also good for those that have had a history of relapse. The Summer Sky Relapse Track™ is different from traditional treatment because it focuses on the causes and conditions that create a relapse in the first place and helps men and women focus on what causes them to relapse. It offers solutions that are practical and easy to follow so that a person does not relapse in the future. If you do not know about “Thought Stopping Techniques” then it may be a good idea to learn about the value of thought stopping techniques. They can help a person in recovery remove unwanted thoughts. Practice a daily schedule, and make sure you’re on a routine that involves recovery centered activities. This practice can help you stay focused and aware of things that need to get done in your life. Try your best to keep your appointments and be on time. This discipline makes you feel better and helps with practicing responsibility. Don’t use alcohol or any other mind- or mood-altering substance. Pay attention to your environment and avoid people that are using alcohol and drugs when possible. If you find yourself in a situation, then get out of the situation. Engage in Physical Exercise this is good for your physical body and helps with your mind. Talk with another person daily, either a person in recovery or a family member or positive friend. Make plans to go to a 12-Step Meeting or support group of your choice. Do you or a loved one need alcohol or drug treatment? 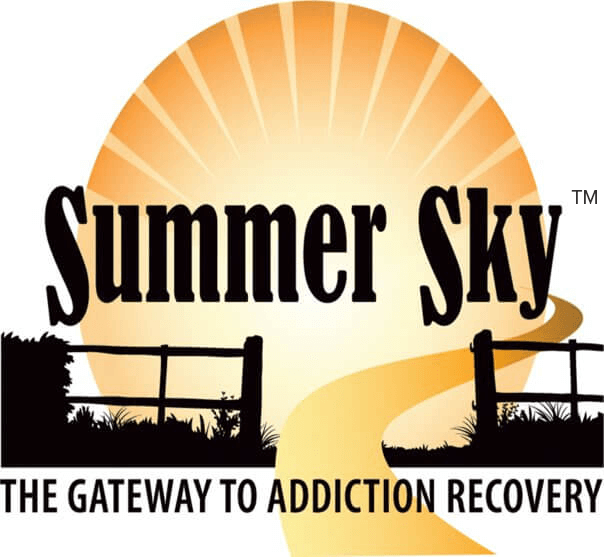 If you need assistance for alcohol and drugs, then contact Summer Sky at 1-888-857-8857. We have a 24-hour admission specialist available to talk about treatment options.